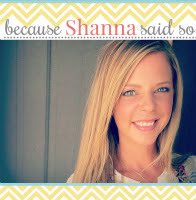 Hi, I am Shanna from Because Shanna Said So. Here is the low down in case we haven't met yet. I blog about fashion (a.k.a. my personal outfits), all on a budget of course and random life happenings. I try not to take myself too seriously and from time to time, have no problem making fun of myself. 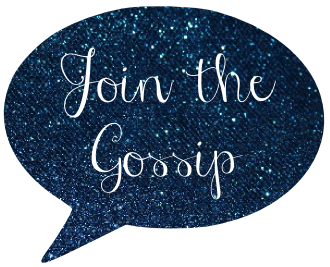 I am super excited to be taking over Leeann's blog today while she is off jumping with the kangaroos in Australia! Uh, my dream destination! I am just going to live vicariously through her for the next three weeks. So let's get to business. We have all heard the term "statement necklace". Most likely we all own one or thirty. But, have you ever heard the term "statement shoes"? Well, in my own opinion these can be grander than a necklace. You can take the simplest of outfits and add a pop to your 10 piggy toes and voila, you have made a serious statement. Need examples? You can click here, here or here and I will show you the proof is in the pudding. I put together my top four "statement shoes" that I have on constant rotation. And I will tell you, they are all comfortable, affordable, mixable and of course fashionable. Take a peek. So, do you like the concept? Do you own a pair of "statement shoes"? Thanks again, Leeann, for inviting me over today! I hope each of you stop by and see me sometime! I love making new friends and discovering new blogs! Love Shanna. And LOVE statement shoes. I have that pair of leopard loafers...now I need those wedges! I have the wedges in gray, and I adore them. I think I might need to add in a new color for this season!! Yay love Shana! I do love the concept of statement shoes and totally agree with the choices! I'm dying for a pair of cute leopard or glitter loafers! oh goodness, those wedges are just incredible! love it. LOVE your statement shoes...I would definitely sport all of them during this fall season! Hope you are having a wonderful week. I have a pair of loafers just like those, and I'm OBSESSED with them. They add such a fun pop to any look. Sometimes a statement shoe is all you need to make an outfit happen! p.s. i hope leeann is having a fantastic time in australia!! !